Just when you thought you didn't have to wake up early or stay up late to hide a toy elf on a shelf from your kids, we regret to inform you that your duties are far from over. 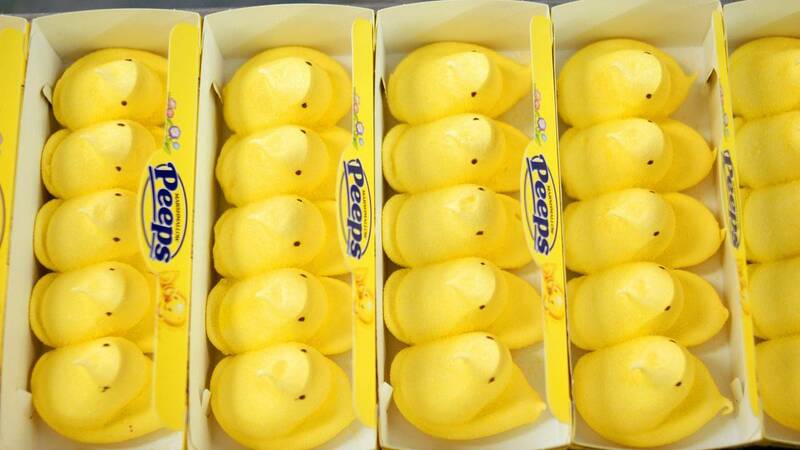 Just in time for Easter is "Peep on a Perch," which is basically the Easter equivalent of "Elf on a Shelf." The package comes with a book that is supposed to inspire young children to use good behavior throughout life, and it comes with a plush Peep that parents can choose to hide for their kids. The story tells how the Easter Peep helps the Easter Bunny every year by helping to decorate eggs and fill Easter baskets. The Peep is supposed to be perched up somewhere while watching over children, making sure they help around the house and that they are respectable to others. The book has been out for about a year, but the Amazon reviews of the book and Peep toy are all positive, with parents saying how their children love the book and the idea of impressing the Peep with their good behavior. The Peep is also just a plush stuffed animal, so you don't have to get too creative when hiding the peep for your children. As any parent who gets in on the "Elf on a Shelf" tradition knows, it can be incredibly difficult to think of unique ways to hide the elf. The Easter Peep seems a little less high maintenance. To find out more about "Peep on a Perch" or to order your own, click here.